Tina Radcliffe has been dreaming and scribbling for years. Originally from Western, N.Y., she left home for a tour of duty with the Army Security Agency stationed in Augsburg, Germany and ended up in Tulsa Oklahoma.nbsp; While living in Tulsa she spent ten years as a Certified Oncology R.N. A former library cataloguer, she now works for a large mail order pharmacy. 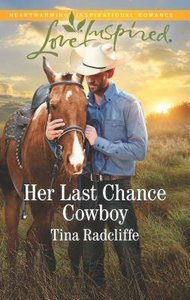 Tina currently resides in the foothills of Colorado where she writes heart warming romance.